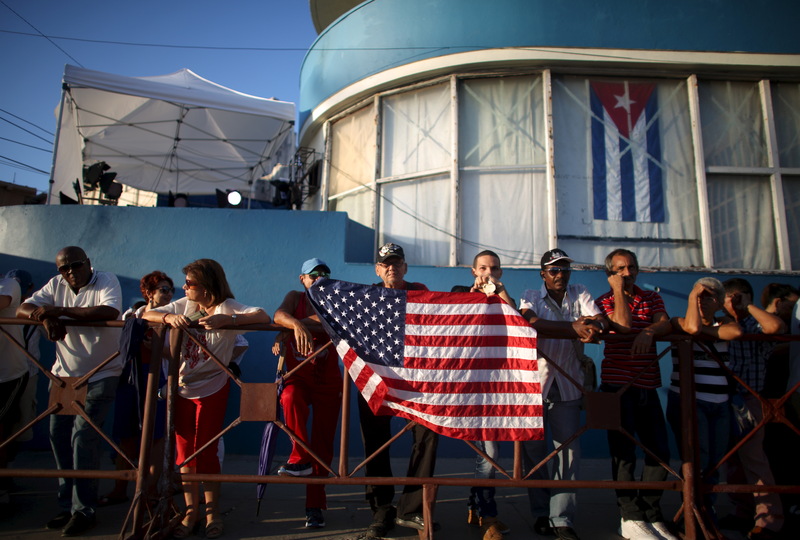 WASHINGTON -- The two-year-old U.S. diplomatic relationship with Cuba was roiled Wednesday by what U.S. officials say was a string of bizarre incidents that left a group of American diplomats in Havana with severe hearing loss attributed to a covert sonic device. The Cuban government flatly rejected the allegations later in the day, saying in a lengthy statement that "Cuba has never permitted, nor will permit, that Cuban territory be used for any action against accredited diplomatic officials or their families, with no exception." In the fall of 2016, a series of U.S. diplomats began suffering unexplained loss of hearing, constant painful headaches, sleeplessness, exhaustion and other symptoms, according to an official familiar with the incidents. Several of the diplomats were recent arrivals at the embassy, which reopened in 2015 as part of former President Barack Obama's reestablishment of diplomatic relations with Cuba. The source familiar with the incidents told CBS News that as many as eight or nine U.S. government employees had their assignments cut short due to the severity of the symptoms, but others affected remain on the island after being "encouraged not to leave." Sources said Thursday that similar reports of headaches and hearing loss are coming from people within the Canadian embassy in Cuba. In the home of one top Canadian official, everyone in the residence including Cuban employees were taken to CIMEQ hospital where top government leaders are treated-- for examination by an ENT specialist. The Cuban employees were then sent home for the day and Canadian security was brought in for a thorough sweep of the house. After months of investigation, U.S. officials concluded that the American diplomats had been exposed to an advanced device that operated outside the range of audible sound and had been deployed either inside or outside their residences. It was not immediately clear if the device was a weapon used in a deliberate attack, or had some other purpose. The Wednesday night statement from the Cuban Foreign Ministry said it had been informed of the incidents on Feb. 17 and had launched an "exhaustive, high-priority, urgent investigation at the behest of the highest level of the Cuban government." Cuba's government called the decision to expel the two Cuban diplomats "unjustified and baseless." A spokesperson for the State Department's Bureau of Western Hemisphere Affairs told CBS News on Wednesday that the department does not have "definitive answers on the source or cause of the incidents." "What this requires is providing medical examinations to these people, initially when they started reporting what I will just call 'symptoms,' it took time to figure out what it was," Nauert said. "We're monitoring it." The Cuban Foreign Ministry said it had created an expert committee to analyze the incidents and had reinforced security around the U.S. embassy and U.S. diplomatic residences. However, officials familiar with the probe said investigators were looking into the possibilities that the incidents were carried out by a third country such as Russia, possibly operating without the knowledge of Cuba's formal chain of command. Nauert said investigators did not yet have a definitive explanation for the incidents but stressed they take them "very seriously," as shown by the Cuban diplomats' expulsions. "We requested their departure as a reciprocal measure since some U.S. personnel's assignments in Havana had to be curtailed due to these incidents," she said. "Under the Vienna Convention, Cuba has an obligation to take measures to protect diplomats."